We all know that planning a business meeting, training session or conference is a complex undertaking. Of course, it all starts with finding the right venue – which is what we’re here for. 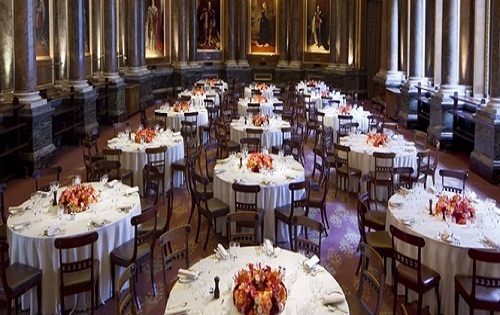 But more than that, whether your event is taking place in London or in the countryside, in the UK or abroad, there are certain room requirements that will always have to be met. Here’s a quick overview guide to the most popular styles of room layout and seating for your delegates. 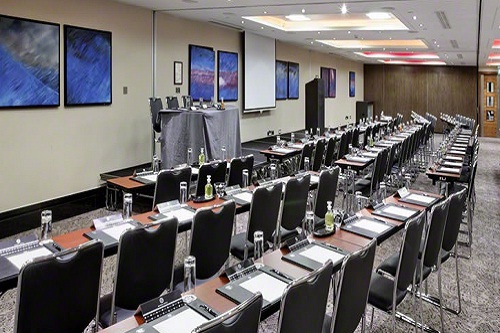 Depending on the type of corporate event and the number of attendees, not to mention your budget, selecting the most suitable meeting room set-up is critical to the success of any event. Boardroom seating is ideal for smaller group meetings, high level executive discussions and interviews. The set-up involves one large, central table – usually rectangular or oval in shape – around which the delegates are seated. This type of seating is great for encouraging face-to-face interaction. Pro – Plenty of workspace on the table. Good for interactive sessions. Con – Not suitable for groups of more than 10 people. Not the right set-up for AV presentations. 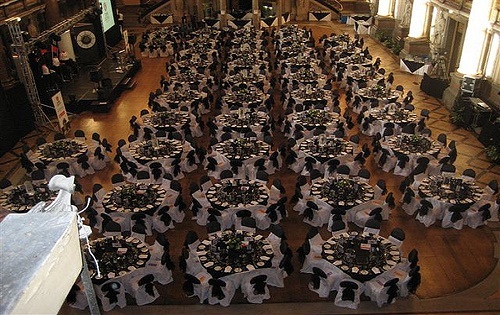 Tables are positioned to form a U shape, with chairs round the outside, so all delegates face inwards. 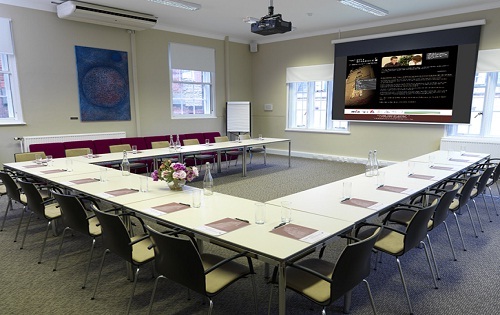 This type of layout is popular for board meetings and committee meetings, smaller training events or discussion groups. The open end is ideal for a speaker or AV/IT aided presentations. Pro – Good for interactive sessions. Good for interaction with speaker/presenter. Con – Not suitable for groups of more than 15 people. Requires more space than other configurations. 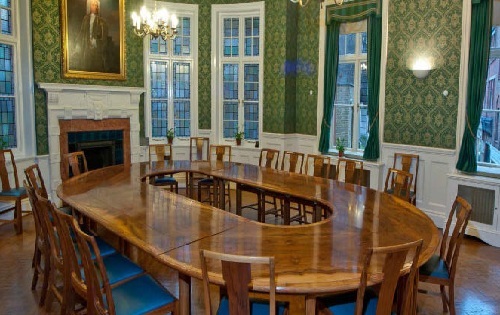 Tables are arranged in rows, facing forward towards a presenter or speaker (classroom) or angled towards the centre (herringbone). 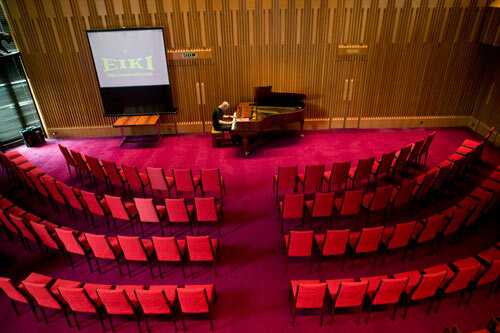 Not unlike traditional school seating, this is a suitable layout for medium sized lectures and seminars, training events and exams. Pro – Good for note taking. Focuses attention on the speaker. Con – Does not promote interaction among delegates. Seating can be a little cramped. An informal seating arrangement where most attendees face towards the front of the room, this is mainly used for social functions, business presentations or training workshops. People are seated at individual round tables that are spread evenly through the room, with an open end towards the front, leaving a clear view and plenty of space for a speaker or presenter. Pro – Good for interaction around the table. Good for note taking. Con – Not a space saving room layout. Additional costs for table dressing. 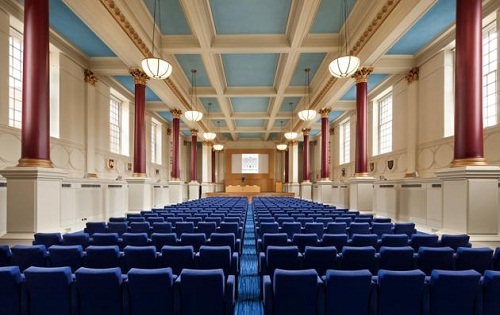 The simplest type of meeting room layout, theatre style seating involves placing chairs in long straight rows, so that all delegate face a central speaker/presenter/stage at the front of the room. This is a great choice for formal announcements and presentations to large groups of people, as well as business conferences. Pro – Maximum room capacity. Focuses attention towards the speaker/stage. Con – Little scope for interaction between delegates. Not much room for note taking. 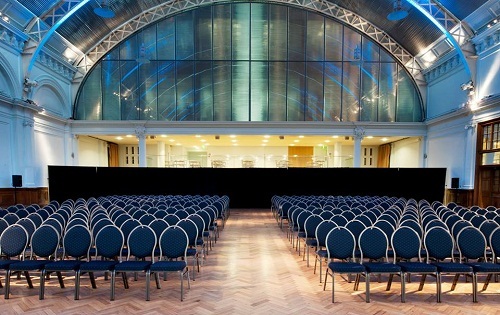 Best Venues London has a team of experienced event industry experts that are ideally placed to help you find the perfect venue for your business event. 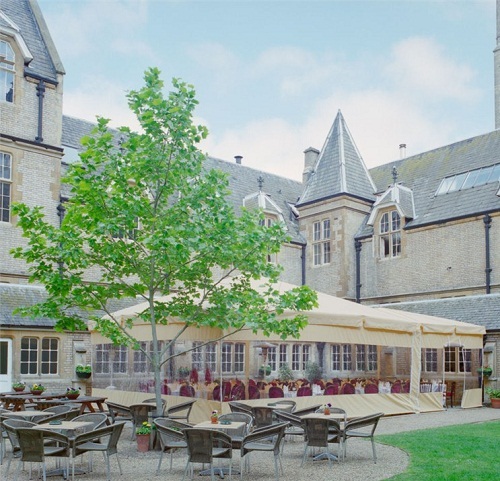 We can provide expert advice on all aspects of event planning – and the best bit is that our service is free of charge! 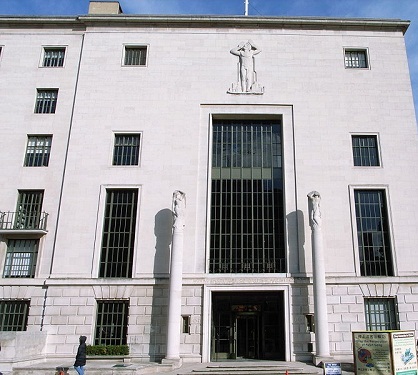 Why not contact us on 020 7186 8687 and share your event requirements with one of our team? We look forward to hearing from you.